Develop the skills you need to get the most out of your life as a student. Our eBooks are ideal for anybody who is taking a formal course of study at school, college or university. Learn how to study more effectively and achieve better grades. You can buy the books separately or get all three as a bundle. Embarking on a new course of study, whether at school, college or university, can be a daunting prospect. Even returning to a familiar course after a break can be challenging. Many students struggle to know how to organise their time and get the most out of their studies, never mind how to develop some of the more ‘academic’ skills such as critical reading and essay writing. This book is designed to help solve these problems. 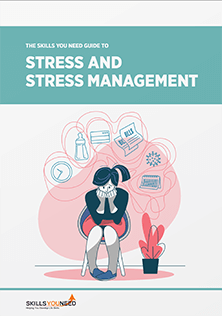 From understanding about how you learn, through getting organised and motivated, to reading and writing assignments and beginning research, our eBook covers all the essential study skills in a straightforward and practical way. 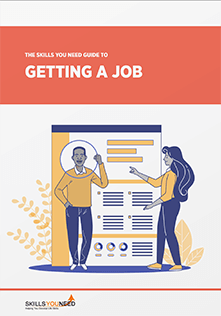 Aimed principally at those starting to study independently, it will nonetheless also be useful to school students and more experienced learners who want to refresh their skills, as well as teachers and tutors looking for material to help their students. Published by: Skills You Need Limited. September 2016. A dissertation or thesis may well be the longest single piece of work that you have ever been asked to do. It may also form a substantial part of the overall mark for your degree, and is therefore both vitally important and also very challenging. This book, takes you through the process of writing your dissertation, from the earliest stages to submission. Starting with your research proposal, an early check that you know what you are doing, through each stage—literature review, deciding on your methods, writing up your results, and drawing conclusions, together with a useful guide to referencing, this book is designed to make the process smoother and easier. No student needing to write a dissertation can afford to be without it! Many undergraduate, and most postgraduate, courses require students to undertake a substantial piece of research. And many students find it hard to know where to start. This eBook provides a step-by-step guide to research methods. It focuses particularly on methods used in social sciences, humanities and healthcare research, and does not cover laboratory research, although some of the principles may be helpful to any researcher. From selecting and understanding the philosophy underpinning your research, through research design, into choosing your method and carrying out your research, then analysing your findings, it is an essential companion for any new researcher. More established researchers may also find it useful for reviewing particular techniques, from survey design through sampling methods to statistical analysis. Your purchase includes the complete Skills You Need Guide for Students in a zip file. 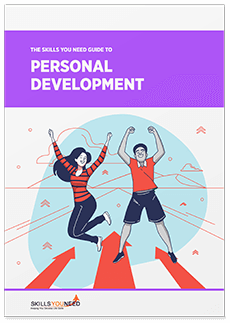 Our interpersonal skills guide covers communication skills, conflict resolution and emotional intelligence. Essential reading for anybody who wants to enjoy better interpersonal relationships at work, at home and socially.